ICPSR Summer Program Workshop on “Health Care Change in the U.S."
– sponsored by the Robert Wood Johnson Foundation. A description of the workshop follows and also can be found – along with information on how to register – at http://www.icpsr.umich.edu/icpsrweb/sumprog/courses/0121. With funding from the Robert Wood Johnson Foundation, the Center for Studying Health System Change (HSC) has periodically conducted national surveys of households and physicians and conducted comprehensive site visits in a set of local health care markets since 1996. The Community Tracking Study (CTS) is a large-scale longitudinal investigation of the evolution of the U.S. health system change and its effects on people and providers. This workshop will focus on the household and physician surveys conducted by HSC and available through ICPSR. The first four rounds of these surveys, called the CTS Household and Physician surveys, had complex samples primarily clustered in 60 nationally representative local healthcare markets, allowing both national and market estimates. Beginning in 2007, with round 5, surveys adopted simpler national samples and were renamed the HSC Health Tracking Household and Physician surveys. The household surveys contain detailed information on people’s healthcare access, satisfaction, use of services and insurance coverage. Information about health status, sociodemographic characteristics and employment is also collected. Physician surveys ask about source of practice revenue, problems respondents face in practicing medicine, quality of care, access to services, information technology, sources of practice revenue and compensation, as well as questions about their practice arrangements and care practices. This workshop will meet August 2-6 and cover key features of the CTS and Health Tracking Household and Physician surveys, while also providing instruction on their use and on the analysis of survey data in general. It will begin with presentations by HSC staff, who will describe study design, sampling procedures, questionnaire content, complex survey variance estimation, weighting, and other topics. Participants will be asked to familiarize themselves with the content of the either the 2007 household or 2008 physician surveys and formulate research projects. HSC and ICPSR staff will assist participants in developing and pursuing their research projects. During the last two days of the workshop, participants will hear from researchers who have used the CTS and HT surveys, continue working on their research projects, and explore other HSC surveys. Application: Applicants need to include a one-page statement of their research interests and their curriculum vitae. Graduate students require a letter of support from their faculty adviser. All supporting materials can be submitted electronically through the Summer Program registration portal on each applicant's Summer Program account page. Deadline: EXTENDED -- the new deadline for application is Wednesday June 9, 2010. Fee: There will be no tuition fees for accepted participants. Stipend: Robert Wood Johnson will offer travel stipends ($500 maximum) for a limited number of participants to attend the workshop. The Inter-University Consortium for Political and Social Research (ICPSR) is pleased to announce the 2010 Summer Program in Quantitative Methods of Social Research. As many subscribers to this list already know, the main component of the Summer Program is held on the campus of the University of Michigan, in Ann Arbor. Lectures and workshops on a wide variety of topics in research design, quantitative reasoning, statistical methods, and data processing are presented in two four-week sessions. The first session runs from June 21, 2010 until July 16, 2010. The second session runs from July 19, 2010 until August 13, 2010. We are currently accepting applications for our four-week sessions and for all of our statistical short courses. The roster of substantive workshops is still being put together; a complete list of all courses will be sent out in the near future. Guilford County is schooling LA County! Check out the US Census Bureau's Take 10 Map. Wanna take bets on whose city will have the highest census participation rate? You can compare participation rates in your home state or county to others in the United States using the Take 10 Map. Currently the northern Midwest states are winning, but the rest of the country is close behind! And don't forget to fill out and mail back your form. 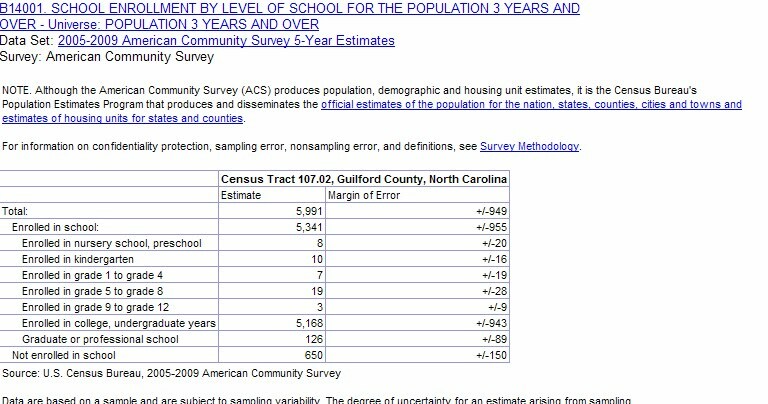 For more information, visit http://2010.census.gov/ and check out the information below from the NC Census office. April 1 – Census Day – has come and gone, and it is important that everyone be a part of the 2010 Census count. What do you do if you have misplaced your Census questionnaire? First, remember that April 1 is NOT a deadline or a due date. You can still participate in the Census. The 2010 Census is a count of everyone where they reside. While most addresses were mailed questionnaires in mid-March, “group quarters” such as college dorms, military barracks, residential homes, prisons, etc. are counted by the US Census Bureau in a slightly different process that began on April 1 and runs through mid-May. If you reside in a group quarters situation, the Census is coming to you. If you live in a traditional residence such as a house or apartment and need a replacement 2010 Census questionnaire, you can participate in the Census through different options. You can wait. The US Census Bureau is mailing replacement forms to some areas, and you may receive a replacement form in your mailbox. Census workers will also begin visiting addresses that did not return a Census questionnaire in May, and you can participate in the 2010 Census by answering the questions with the Census worker. You can visit. There are over 1,000 Questionnaire Assistance Centers located in public areas such as public libraries and community centers across North Carolina. You may stop by your nearest QAC to pick up a replacement form. Visit the Take 10 Map to locate the nearest Questionnaire Assistance Center in your neighborhood. 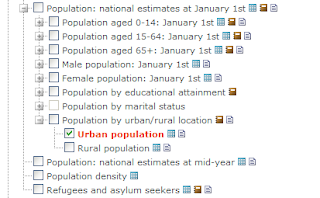 Check out our new 2010 Census page! 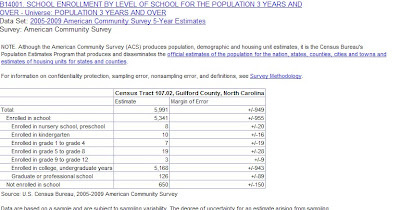 It brings together links of interest to the UNCG community including information about the Census in NC. And don't forget to mail back your form! Cool reports from Euromonitor's GMID! For more reports, check out Euromonitor's Global Market Information Database. ICPSR has released a new thematic archive called NCAA Student-Athlete Experiences Data Archive. It will serve as a repository for publicly available NCAA data on a variety of topics, such as graduation rates, academic progress, and more. Currently only the NCAA Division I Academic Progress Rate 2009 dataset is available, but in 2010 they will add the Graduation Success Rate Public-Use dataset and more. In addition, the Progress Rate 2009 data can be analyzed online. The NCAA archive looks to be a great resource for scholars interested in student-athletes. Stop by the website to see their new content! A phony Better Business Bureau email is circulating the intertubes. Check out the press release from the BBB below. As we enter the crunch time for the Census, people will start spreading misinformation. Don't fall for the lies. Keep yourself informed! An e-mail which falsely claims to be from the Better Business Bureau about the upcoming 2010 Census is inaccurate and BBB is advising consumers to get the facts. The field representative must present an ID badge that contains a Department of Commerce watermark and expiration date. The field representative may also be carrying a bag with a Census Bureau logo. The field representative will provide you with supervisor contact information and/or the Regional Office phone number for verification, if asked. The field representative will provide you with a letter from the Census Bureau Director on official letterhead. household that does not mail back a completed 2010 Census form. It’s critical that you take just 10 minutes to fill out and mail back your form rather than wait for a census worker to show up on your doorstep. About $85 million in taxpayer dollars are saved for every one percent increase in mail response. The Census Bureau must get a census form to – and a completed form back from – every residence in the United States. That’s more than 130 million addresses. This is why the census is the largest domestic mobilization our nation undertakes. Field representatives will never ask you for your social security number, bank account number, or credit card number. Census workers also never solicit for donations and will never contact you by e-mail. The 2010 Census will ask for name, gender, age, race, ethnicity, relationship, and whether you own or rent your home – just 10 simple questions that will take about 10 minutes to answer. Your answers are protected by law and are not shared with anyone. The Census Bureau safeguards all census responses to the highest security standards available. ICPSR presents: the new "Research Connections" website! Research Connections offers a comprehensive, easily searchable collection of more than 15,000 resources from the many disciplines related to child care and early education. • Filter your search results by author, state, peer reviewed journal, resource type, or acquisition date to quickly find the resources you need. • Save your search and receive notices when new resources are added that meet your saved search criteria. • Browse the collection by topic to fully explore your areas of interest. • Search for variables in individual datasets to easily find the data you want. Title: Introducing the New "Research Connections" Website! Pop quiz hot shot: What are the top 10 largest cities in Croatia? New in Euromonitor Global Market Information Database: "Cities are drivers of economic growth and at the same time cities are the result of economic growth. City consumers are more brand-aware and have higher disposable incomes and tend to be trend-setters. Emerging markets are home to some of the world’s most dynamic and fast-growing cities. The data covers the largest 10 cities in each country and are available for 82 countries from 1998-2015." Stop back by for an upcoming quick start tutorial on accessing GMID's country data.